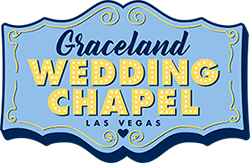 What's more fun than a Las Vegas wedding ceremony? A group Las Vegas wedding ceremony. First, select one of our packages. Then the cost to add additional couples to join your ceremony is $65 per couple. If the additional couples would like to add flowers, photos, or DVD service, then those items can be added a la carte. Another group ceremony option is to have ceremonies performed back to back. With this option, each couple selects their own package, and we can perform your ceremonies one after the other.